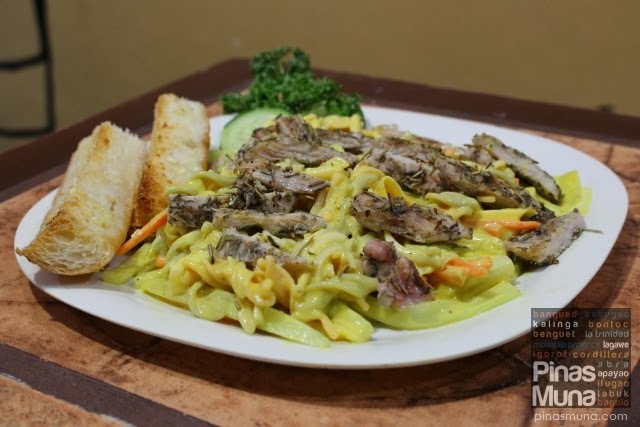 Alfoncito's Place is a new restaurant in Baguio City specializing in Italian cuisine. They opened last September 2013 in Kisad Road, away from the busy downtown area of Session Road. 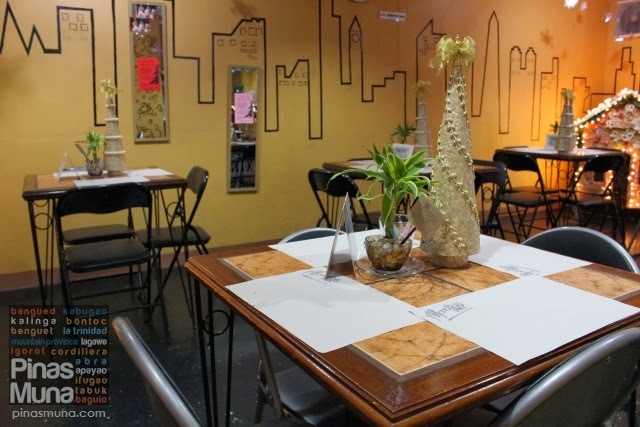 It is technically a cafe which serves pastries, sandwiches and pasta. 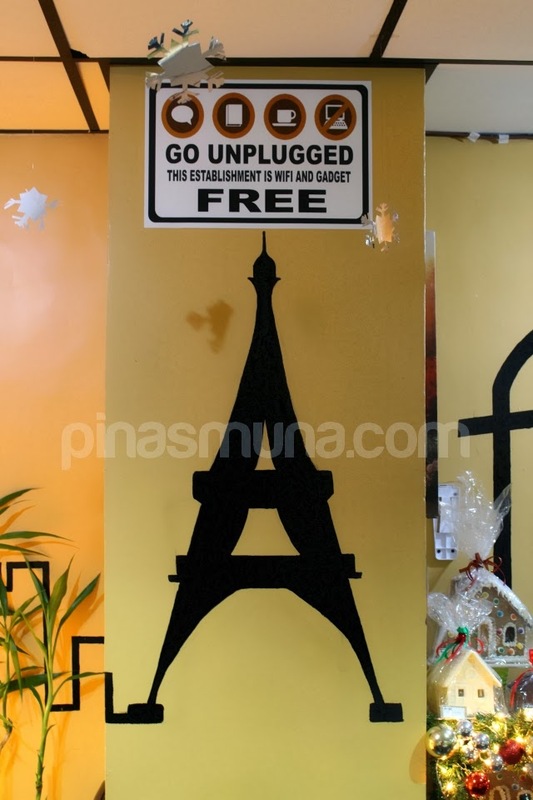 They boast of their authentic Italian dishes served in the homey ambiance of the cafe. The owners named the restaurant after their father, Alfonso. He works in a cruise ship where he acquired the skill of cooking Italian food. He then passed on the skill to his wife Marivic and children Mark and Michelle. Everyone in the family can cook and all of them play an active role in the restaurant! Alfoncito's Place offers a quiet escape from the hustle and bustle of downtown Baguio, yet still very accessible from most hotels and residential areas. 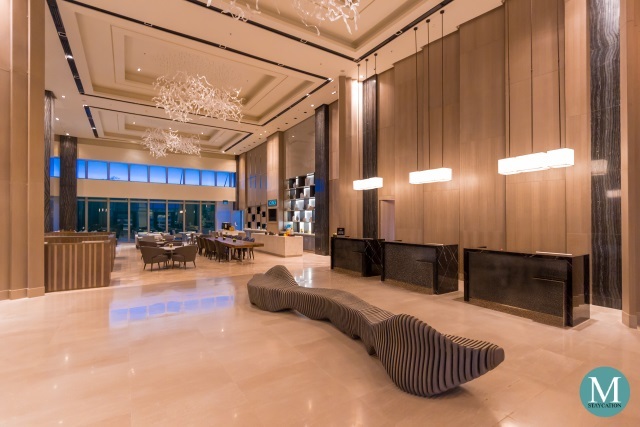 The restaurant is an ideal setting for intimate dates, family gatherings, catch-up meals with friends, or casual business meetings. Sit down and relax, it's time to slow down when you are at Alfoncito's Place. We started off with the Italian Veggie Salad (P145) which is made of iceberg lettuce, julienned cucumber, carrots and turnips and mixed with veggie pasta. They are then dressed with their home-made honey mustard, and topped with strips of herbed chicken. The veggies were crunchy and juicy-sweet, definitely the freshest vegetables only available in Baguio. Their honey mustard dressing isn't the usual sweet version Filipinos are familiar with. 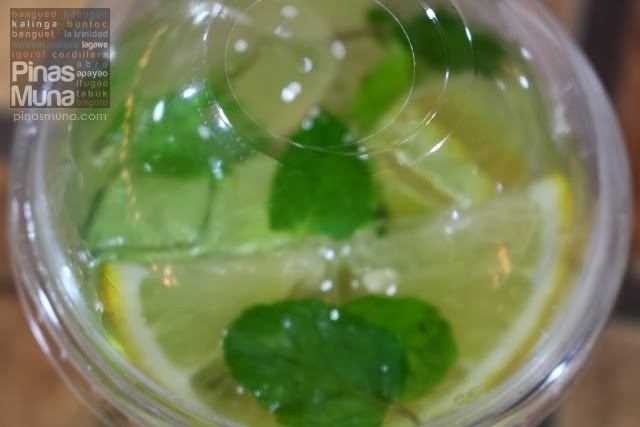 Its lightly sour taste makes the salad very refreshing. The strips of herbed chicken added texture and flavor to the Salad. Its serving size is good for sharing. We then sampled the Panini with Bacon (P145). It's made of wheat bread cut horizontally and filled with fresh lettuce, slices of cucumber and tomatoes, cheese and bacon. 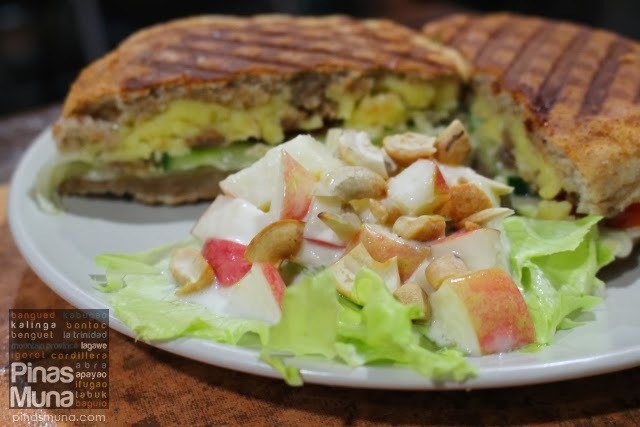 The sandwich is then pressed in a warming grill, sliced into two and served with Waldorf Salad. We liked the contrast of the crunchy crust and the molten cheese center of the sandwich. The juiciness of the tomatoes matches the flavorful bacon and cheese combination. The salad also balances the flavor of the panini, perfect combination indeed! The panini is good for solo or sharing. 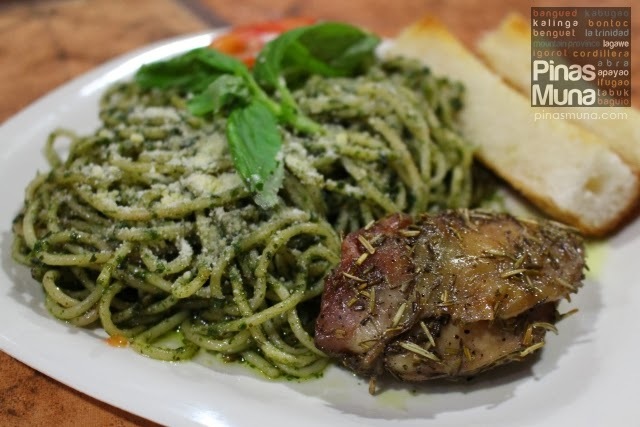 Next to arrive was the Pasta al Pesto with Oven Baked Herbed Chicken (P180). Spaghetti al Pesto is one of our favorite pasta dishes. It looks simple to prepare but a lot of restaurants often fail in finding the right balance of ingredients and flavors. Some uses too much basil leaves, some uses too much olive oil. Some are too salty, while some are too garlicky. Alfoncito's Place however creates a very well balanced pesto sauce. The basil and garlic do not overpower the flavors, and its slight creamy taste makes it more palatable. The herbed chicken was very tender and juicy. It blends with the flavor of the pesto and gives added texture to the pasta dish. It is also good for sharing making this dish a great value for money. 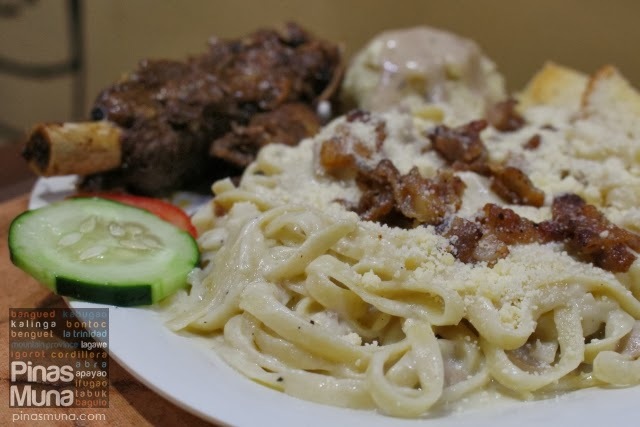 The Fettuccine Alfredo with Barbecue Spareribs and Mashed Potatoes (P250) is definitely the highlight of our lunch. It was a hefty serving of fettuccine pasta with creamy white sauce and sprinkled with Parmesan cheese and topped with bits of bacon. How could you resist that especially with the serving of two garlic breads? Yum! The spareribs on the other hand was very tender while the mashed potato was undeniably home made using fresh potatoes. Altogether, the flavors complement each other. This is already a complete meal fit for a big appetite. We were told that this is a best-seller among Europeans and Americans. For Filipinos, this dish will be good for sharing. For its price, this is really a great deal! There's no WiFi connection inside Alfoncito's Place. No we are not complaining, and you shouldn't be! 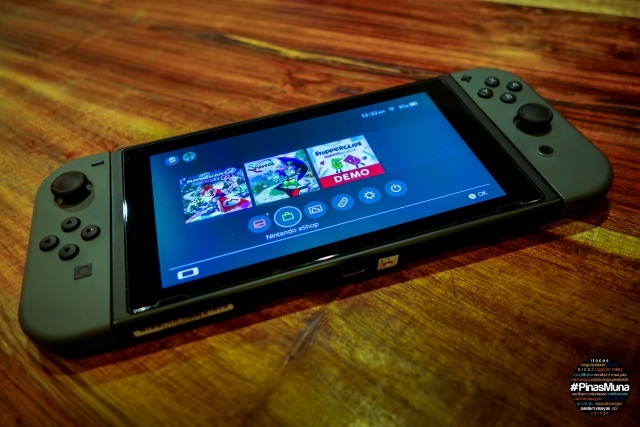 At Alfoncito's Place, you are encouraged to disconnect from technology and connect with people over great food. It's time to take a break from the online world, from your phone, from work. 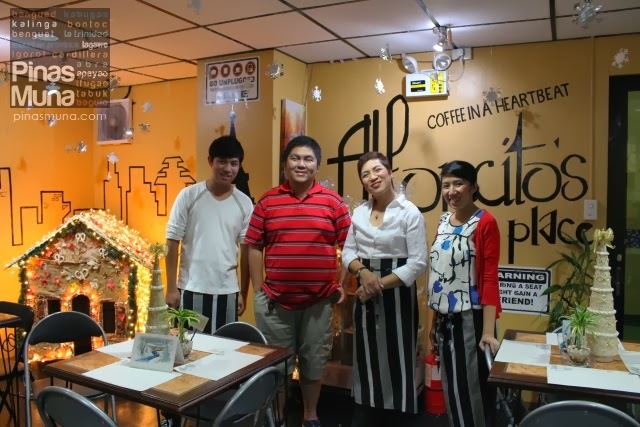 Alfoncito's Place is a great addition to the growing list of restaurants in Baguio. 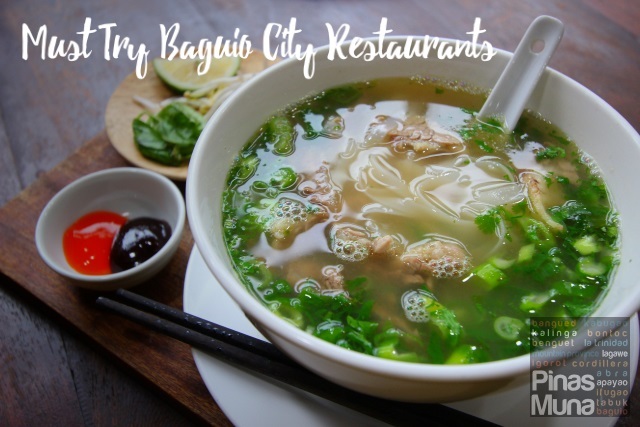 With the high quality and the generous serving of their dishes, we are sure that they will become a big hit not only to the residents but to the tourists as well. Most of all, their hospitality and customer service are what set them apart from other food establishments. 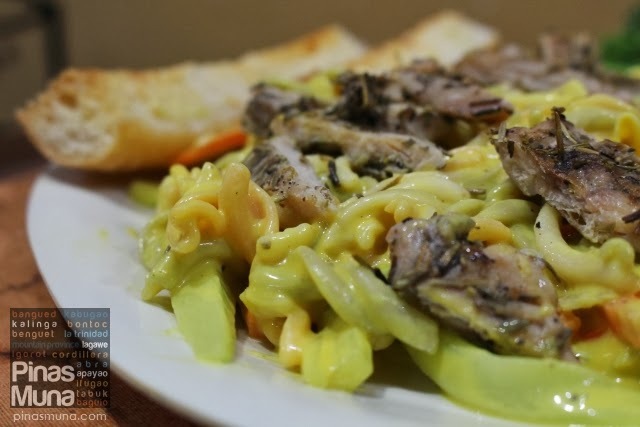 Alfoncito's Place has become our favorite Italian restaurant in Baguio City and we hope that more and more tourists discover Alfoncito's Place and enjoy their food as much as we did. We will surely be back here to try other very interesting items on their menu. Thank you very much Maam Marivic, Sir Mark and Maam Michelle for having us at Alfoncito's Place. We are looking forward to visiting your restaurant again in 2014. 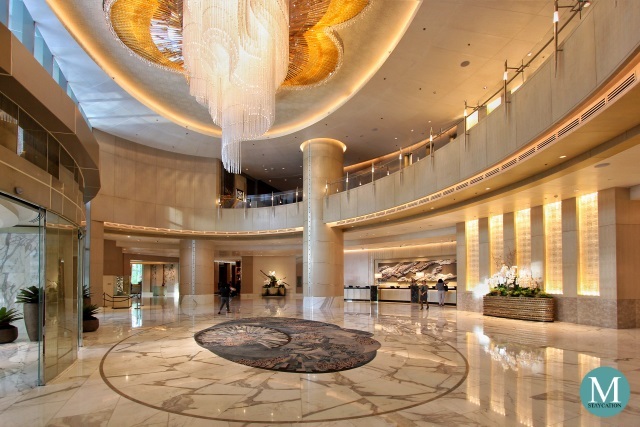 How to get there: Take a taxi and tell the driver to bring you to Starwood Hotel along Kisad Road. 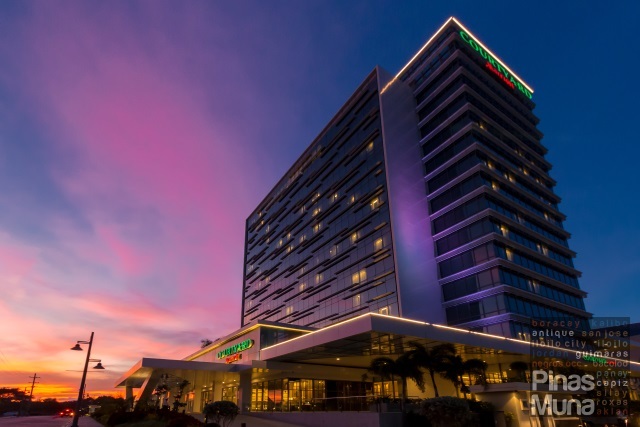 EDY building is located right beside Starwood Hotel. 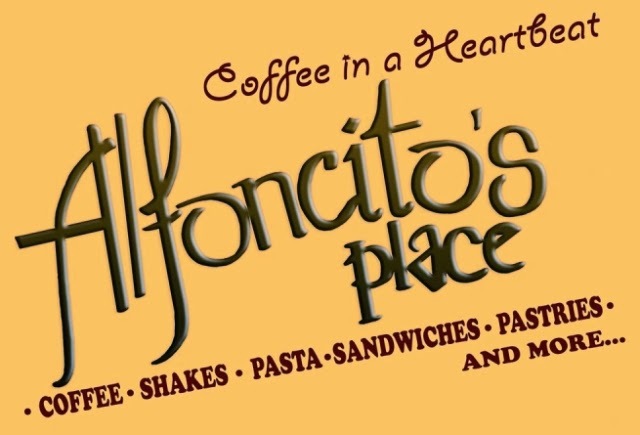 Alfoncito's Place is located at the lower ground floor, right under Maybank. Yes Mervz, kasama sa BFT2014 :-? Such a great review Sir Ramil :3 It was such a great joy to have you in our humble little resto/cafe. We are looking forward to more great meals and awesome conversations. CHEERS!